All you need to know about Property Auctions | Phew! Are you planning to buy property at an auction? In this era of technological advancements, nothing could be easier than buying at an auction. You will not have to wait for months for completing the process of conveyancing; everything will be completed within a very small span of time. There are certain tips that will help you win any auction. Buying at auction always opens new vistas for people from different streams. No matter whether you are a private buyer looking for a home for personal purposes, or a professional investor who is looking for attractive commercial property, auctions are great for either.But this is a game for brave people who have foresightedness. Purchasing a property at an auction is almost like a game. A careful game will help you easily snap the deal. Considering all these benefits, the number of people preferring auctions is increasing day by day. One of the basic reasons for this increase is the technological progress. As internet is becoming all-pervasive, information is now available at your fingertips. All you have to do is just log on and browse through different websites. Only a well-informed person can win at an auction. In-depth research is the first step to success in any auction. These days, with so many methods and media available, gaining information on anything under the sun is just a matter of few seconds. 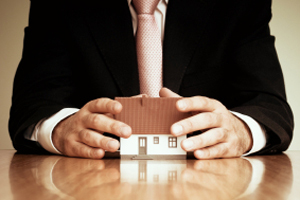 You can also depend on skilled conveyancing solicitors to help you in this process. Just log on to Phew! And enjoy the service of professional conveyancing solicitors. They will help you make your task easier. So are you eager to grab a property at an auction? But before you leap into the game, it is important to learn how the process works. Read along to learn how it works and more significantly, learn some quick steps which will help you understand whether the auction is progressing your way or not. If you are planning for a first auction, then there are so many things to learn. Get familiar with different aspects of the business. The best thing you can do is to meet knowledgeable people and seek advice from them, those who have enough knowledge and experience in this field. No one could ever give you better advice than those who have profound experience in the same field. They will have both good and bad experiences to share. To communicate with experts in the industry, you can attend property Investor shows. There are talk shows to consider and you can even arrange personal meetings. Property auction is a very dynamic business, hence it is very important be prepared. Once you collect the basic information about the processes involved in an auction, the next thing you can do is gain practical knowledge. This is far more relevant. You can attend different auctions and watch how others grab the deal. You will figure out the many tricks happening in an auction. This will help you to formulate your own unique techniques. There are many auction houses. It would be wise to contact them directly, so you get the auction catalogue before the event. If you are not able to contact them directly, you can check their websites. It will surely provide you with a copy of the auction catalogue. If you are an investor and looking for property in a particular area, you can even subscribe to these auction catalogues regularly. An auction catalogue will give all the details about the property. It will generally have photographs of the property as well. The general conditions for the auction will also be explained in the catalogue. There will be a guide price; this will give you a perfect idea on the price expectations by the auctioneer. It will also explain the general bids that may occur in the auction. Once you find a property, start collecting all possible details about the property. If it is not a tenanted property, then try to view the property. If there are tenants in the property, this may not be possible. In case of any confusion, it is better to seek professional guidance from a conveyancing solicitor. They will help make your research more accurate and easier. Studying the auction catalogues carefully is very important. You can discuss with your solicitor about each of the terms and conditions mentioned in the catalogues. The solicitor will confirm and ensure that all related searches and inquiries were done perfectly. Once all the conveyancing procedures are done, you will have make arrangements for your finances. You will have to arrange 10% of the total amount on the day of auction. Pay the money and sign the contract. The rest 90% of the money should be paid within the remaining 28 days. If you fail to pay the entire sum within the given period, you will lose the deposit money. Hence make sure that you make necessary arrangements for mortgages well in advance. Always keep in mind that each transaction made in an auction is similar to signing a contract. You will have to give all your details and that of your solicitor to register at the auction house. Once you have made the bid, coming out of it is not an easy task. It involves intricate legal procedures and will be highly expensive. Hence be conscious in each step.